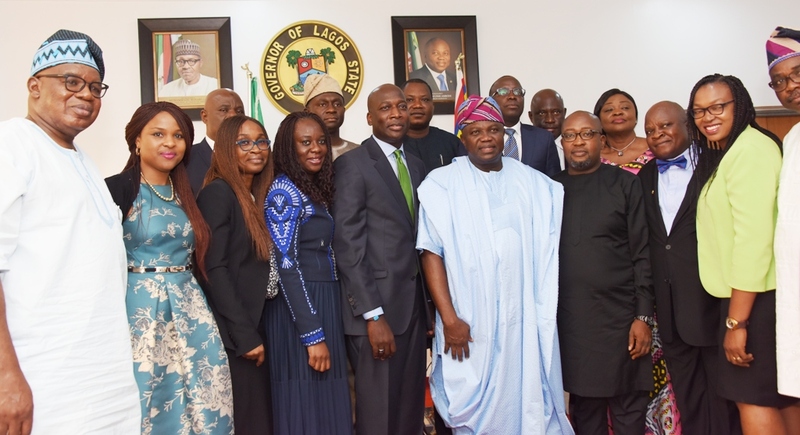 Lagos State Governor, Mr. Akinwunmi Ambode (5th right); Managing Director, Unilever Nigeria Plc., Mr. Yaw Nsarkoh (middle); Finance Director, Unilever Ghana-Nigeria, Adesola Sotande-Peters (4th left); Corporate Affairs Director, Unilever Nig., Mrs. Soromidayo Goerge (3rd left), Commissioner for Wealth Creation & Employment, Dr. Babatunde Durosinmi-Etti (left); Vice President, Customer Development, Unilever Nigeria Plc., Mr. Felix Enwemadu (4th right); Commissioner for Commerce, Industry & Cooperatives, Prince Rotimi Ogunleye (3rd right); Foods Director, Unilever Nigeria Plc., Nsima Ogedi-Alakwe (2nd right) and others during a courtesy visit to the Governor by the Unilever Executives at the Lagos House, Ikeja, on Wednesday, April 12, 2017. 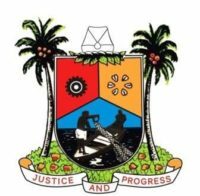 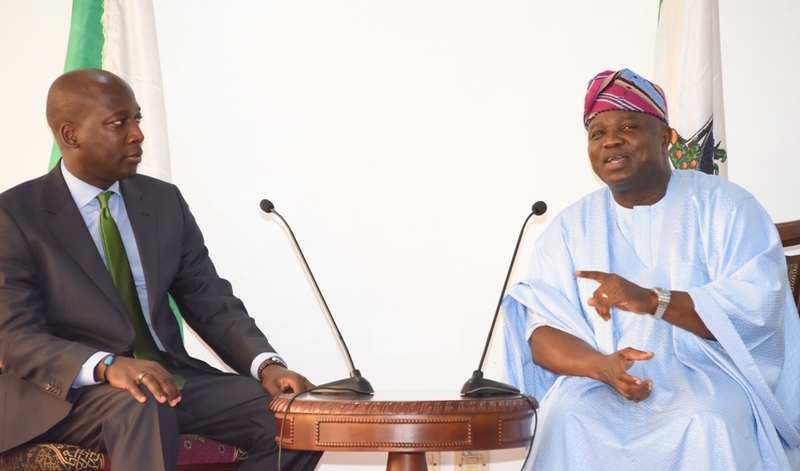 Lagos State Governor, Mr. Akinwunmi Ambode ( right), making his remarks during a courtesy visit by the Managing Director, Unilever Nigeria Plc., Mr. Yaw Nsarkoh and his team at the Lagos House, Ikeja, on Wednesday, April 12, 2017. 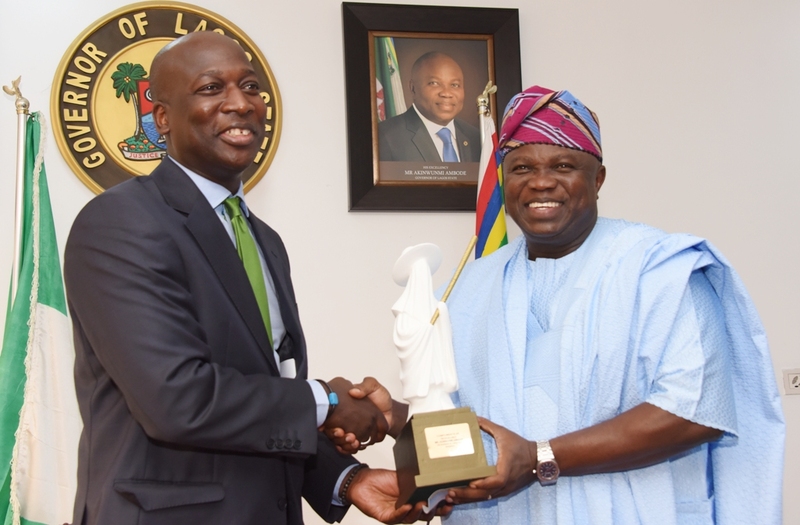 Lagos State Governor, Mr. Akinwunmi Ambode (right) presenting an Eyo plaque to the Managing Director, Unilever Nigeria Plc., Mr. Yaw Nsarkoh during a courtesy visit to the Governor by Unilever Executives, at the Lagos House, Ikeja, on Wednesday, April 12, 2017. 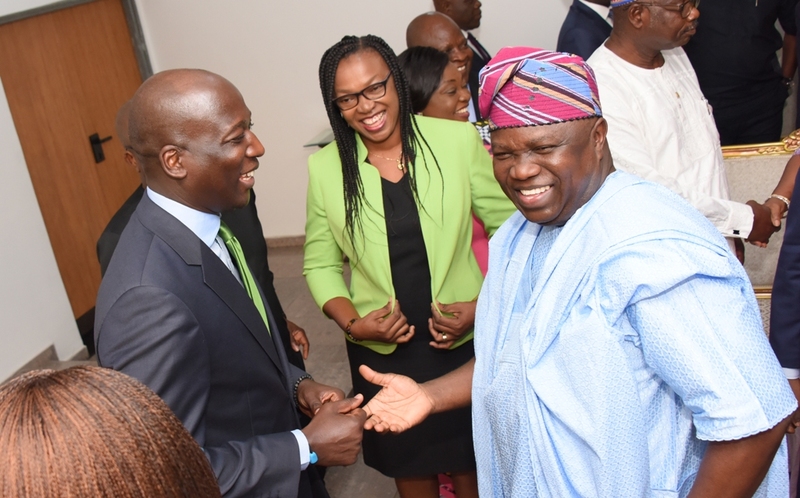 Lagos State Governor, Mr. Akinwunmi Ambode (right) with Managing Director, Unilever Nigeria Plc., Mr. Yaw Nsarkoh (left) and Foods Director, Unilever Nigeria Plc., Nsima Ogedi-Alakwe (middle) during a courtesy visit to the Governor by Unilever Executives, at the Lagos House, Ikeja, on Wednesday, April 12, 2017 .